The adult women’s purple belt absolute division was a highly competitive affair that saw over twenty registered athletes throw down! 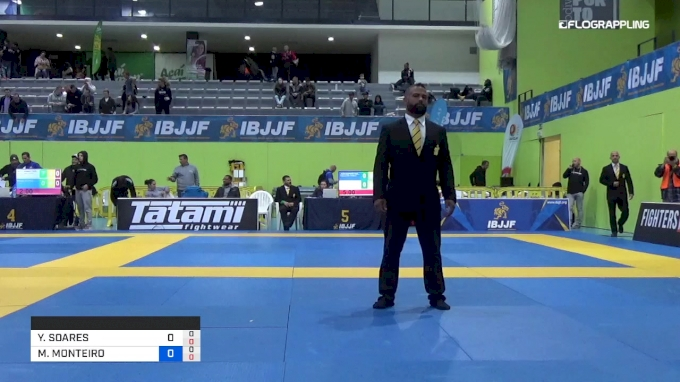 Yara Soares representing Guigo Juu-Jitsu and TLI looked absolutely dominant throughout her run to the top of the podium, her performance culminating in a 23-0 point final over the Mayara Monteiro from Checkmat. Soares jiu-jitsu was cool and calculated throughout, and once she got an early lead on her opponents, she never allowed them an opening to work their way back on to the scoreboard. Though she came up short in the final, Monteiro also had a fantastic performance this afternoon, bringing a level of physicality unmatched by any of her counterparts. Her fearsome wrestling and no-nonsense approach saw her get the better of rising star Kylie Baker and the breakout performer Eleftheria Christodoulou and she's absolutely someone to keep an eye on in upcoming events.